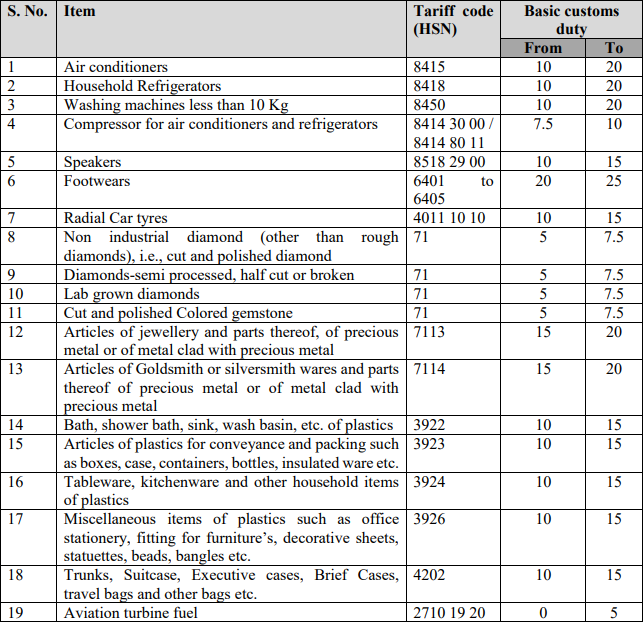 Sep 26, 2018: The Central Government has taken tariff measures, by way of increase in the basic customs duty, to curb import of certain imported items. These changes aim at narrowing the current account deficit (CAD). The total value of imports of these items in the year 2017-18 was about Rs 86000 Crore.